In our today's Daily Current Affairs Quiz - 1st April 2018 we have included all the Latest and Important Current Affairs based quiz which consists of a set of 12 questions. They are very important for the upcoming examinations of Bank, Rail, SSC and other Government examinations. 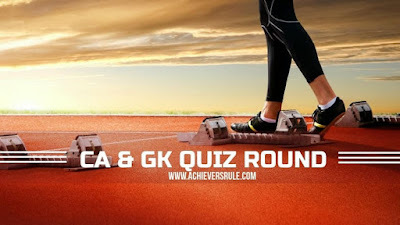 We have also included some questions from the Static GK part which are also quite common in SSC CGL or SSC CHSL examinations. We would like our aspirants to go through each of these on a regular basis for better performance and also to boost their knowledge. Q1. Rivigo ties up with IDFC and ________ bank. China sent twin satellites into space with a single carrier rocket, adding two more members for its domestic BeiDou Navigation Satellite System (BDS)..
Q11.____________ remains liquid at room temperature.